While not the easiest to notice, these stealthy birds of prey can be found in the forests of Northern Virginia. 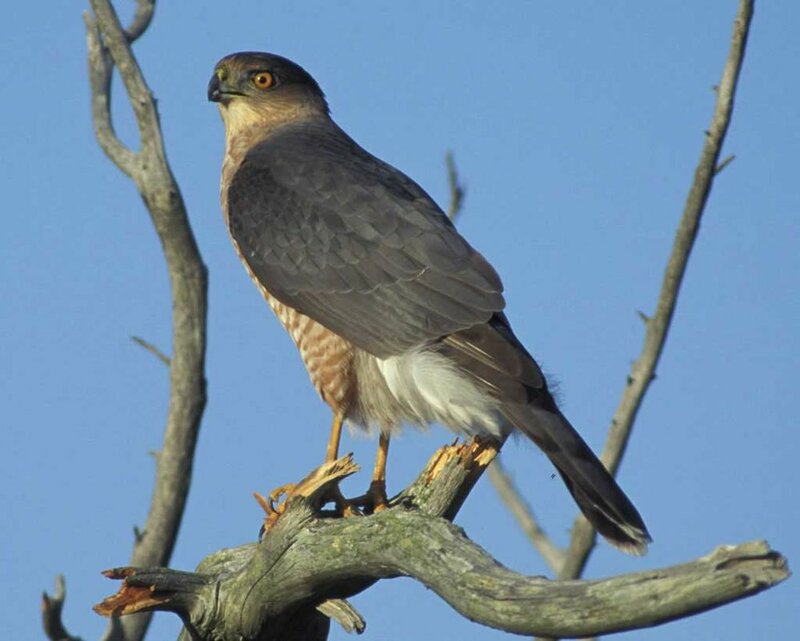 Cooper's Hawks can be identified by their long tail, blue-gray wings, and reddish striped underbelly. Red-Shouldered Hawks can be identified by their reddish brown underbelly striped with white. Red-tailed Hawks can be identified by their mostly pale underbelly, brown chest, and white throat. 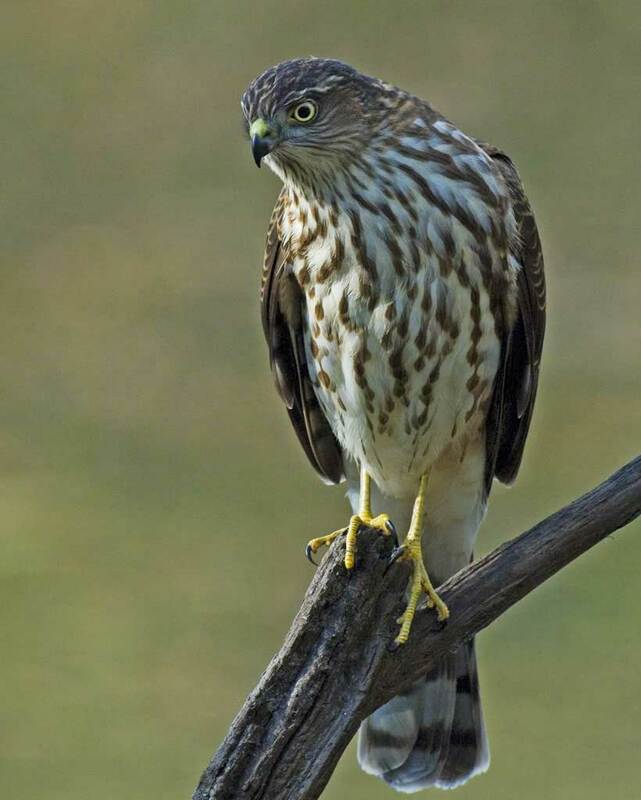 Sharp-shinned Hawks can be identified by their blue-gray wings, small head, and heavily spotted underbelly.